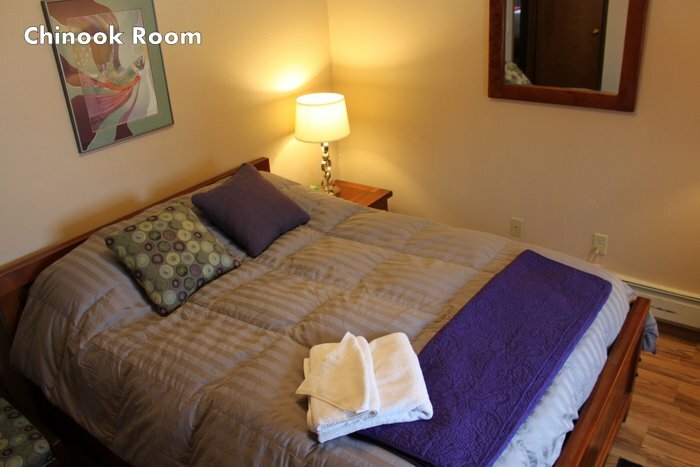 Shared bath facilities and a Queen bed with Cable TV make the Chinook Room warm and cozy. Hot breakfast is provided on the weekdays and self serve cold breakfast is available on the weekends. Laundry facilities are available for long term guests. The Chinook Room rate $175 per night.